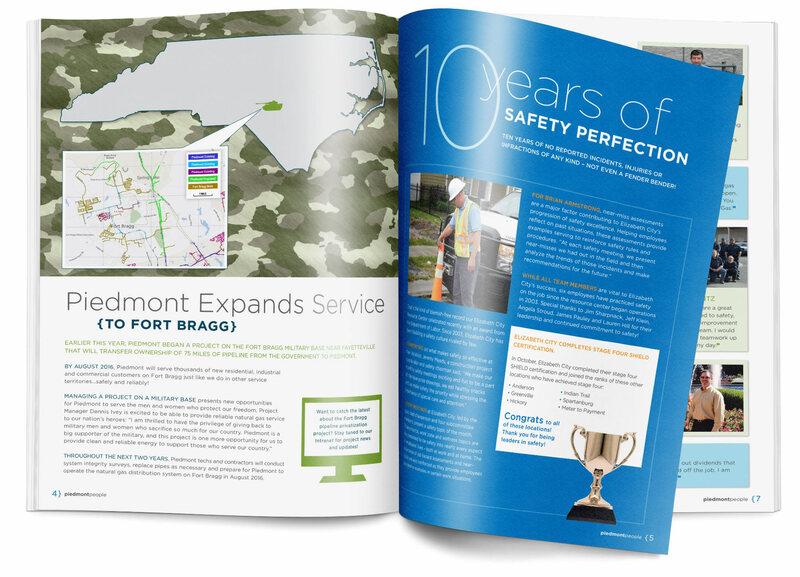 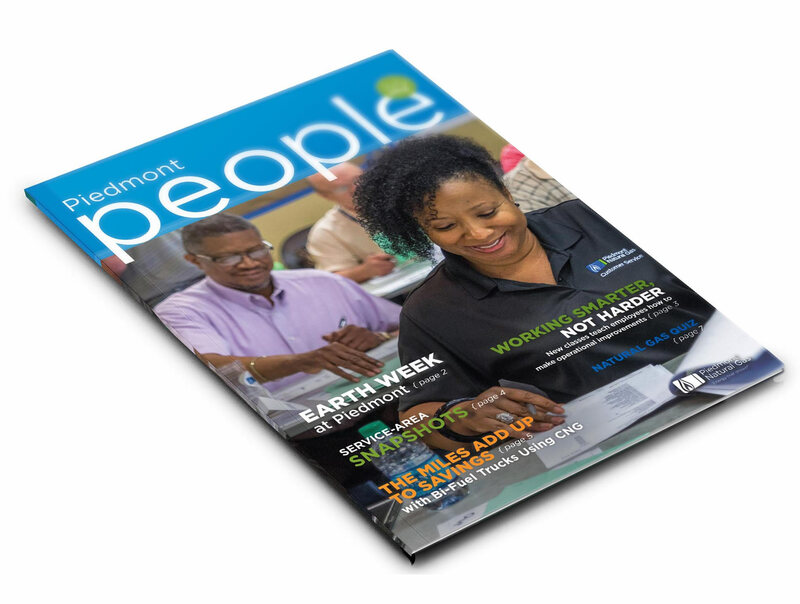 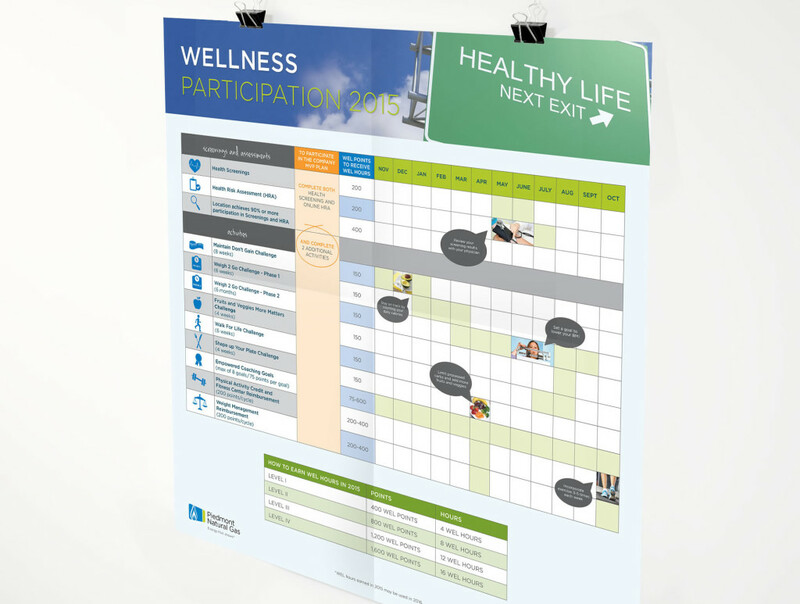 We were given the task to redesign Piedmont People, an internal quarterly newsletter for Piedmont Natural Gas. 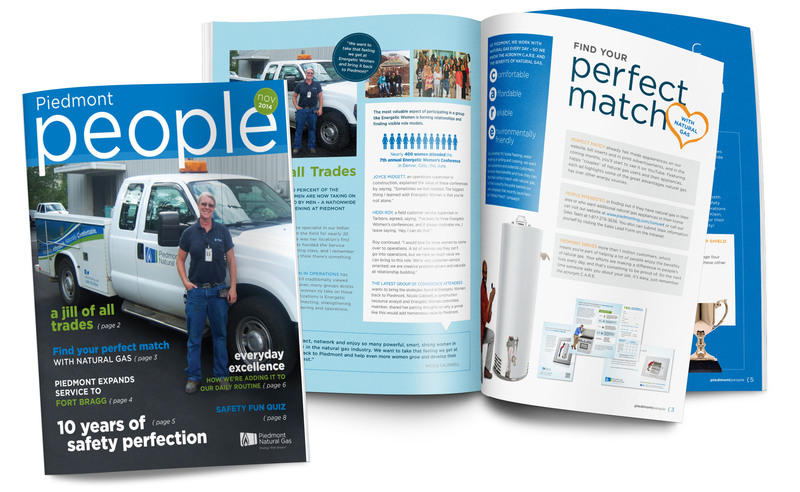 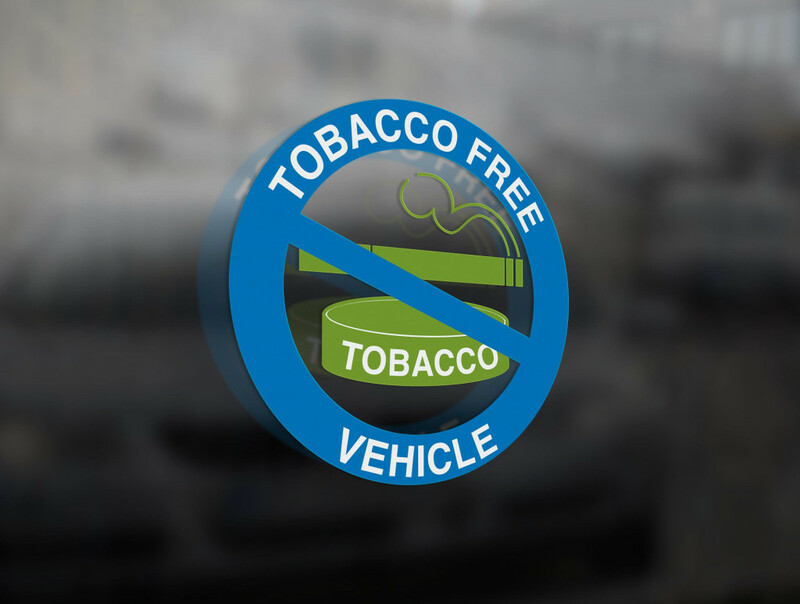 After presenting two completely different cover concepts, while being sure to remain true to the PNG brand, we moved forward with the client’s favorite and developed the internal pages to follow the same theme. 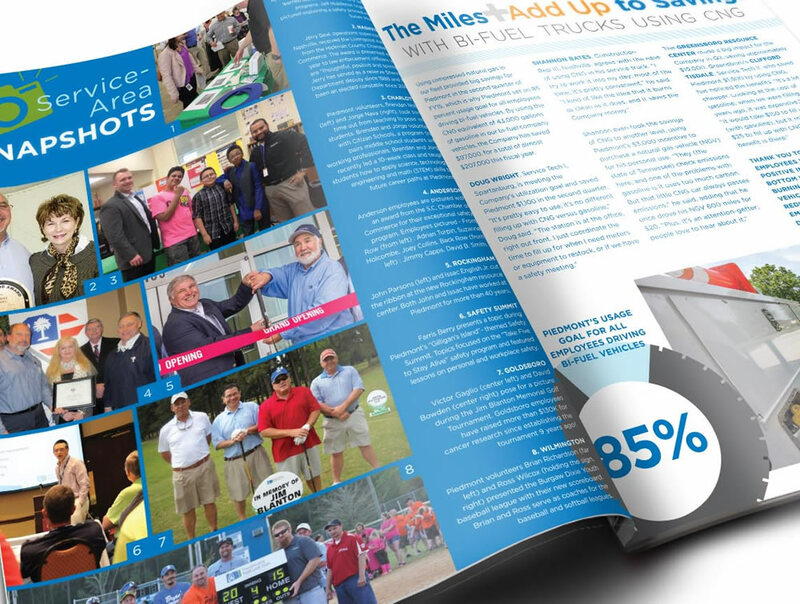 Our goal was to create a mini-magazine that displayed the content as feature articles rather than following a traditional newsletter grid. 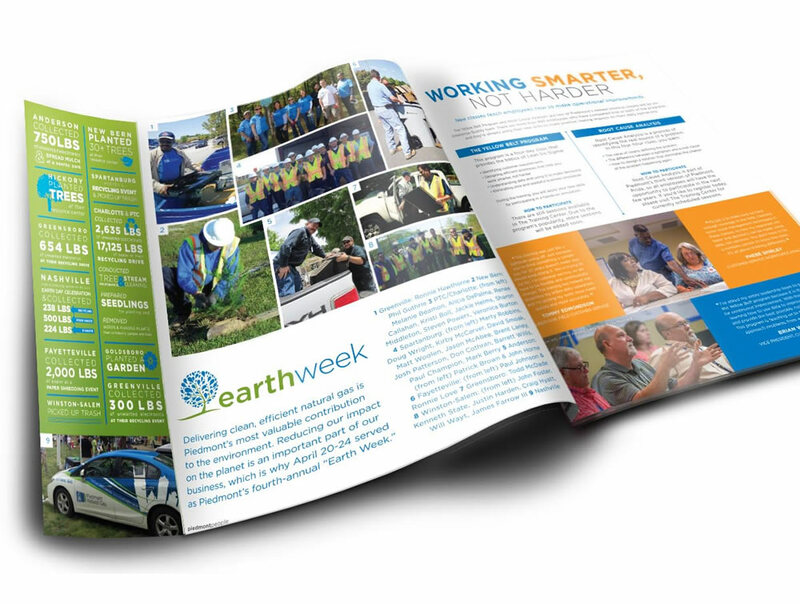 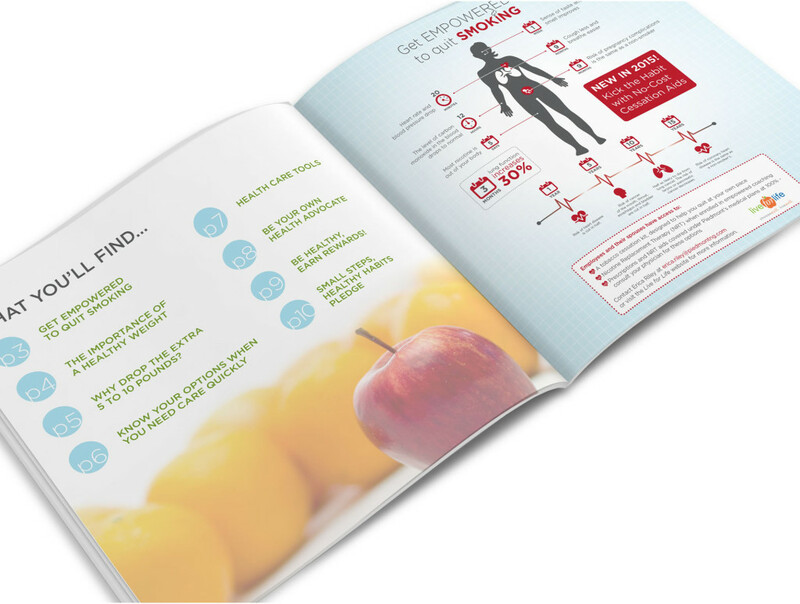 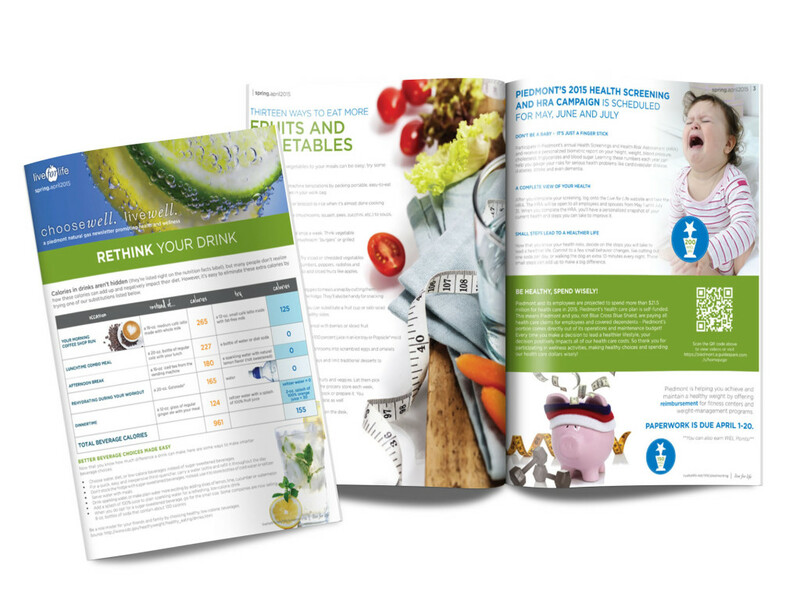 Having a flexible grid allowed us to showcase different page layouts with varying content and images while still remaining true to the overall design.